NEW YORK, NY – Today, the de Blasio administration announced sweeping reforms to New York’s commercial sanitation industry. The plan will create commercial waste zones throughout the city, each served by a private sanitation company that will be held to strict environmental and labor standards. Teamsters Union officials, who represent thousands of sanitation workers in New York City, at private companies and at the Department of Sanitation, praised the mayor’s plan. 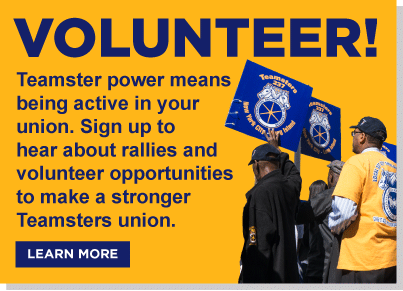 Teamsters Local 813 represents private sanitation workers, while Teamsters Local 831, also known as the Uniformed Sanitationmen’s Association, represents sanitation workers at the New York City Department of Sanitation.